” T ” is my abbreviation for tablespoon. In a large mixing bowl, combine all of the ingredients in the order in which they are listed, adding the beef last. Blend gently with your hand, fingers apart (like your hand is a claw) and blend only in one direction (so that you do not break the meat fibres. Don’t squish the filling with your hands. Transfer the filling into 4 or so smaller bowls and cover. Chill the filling in the refrigerator for about an hour. Remove only one bowl at a time when you are ready to wrap the filling using the wonton wrappers. If you are not cooking them right away, store them in the freezer for up to 2 months. To do so, place the made wonton so that are not touching each other on a tray that has been sprinkled with cornflour/corn starch. Place the tray into the freezer. When the wonton have hardened, place them into freezer bags and seal well. They do not need to be thawed out – just pop them straight into a pot of boiling water. To cook either fresh or frozen wonton- bring a pot of water to boil. There should be enough water so that the wonton can float about. When the water boils, drop in your wonton. They will start to float to the top of the water’s edge and then resume boiling. At this stage, lower the flame so that the water is at a gentle boil (not a raging boil). If wonton were freshly made, you can remove them from the boiling water after a couple of minutes. If the wonton were frozen, give them an extra minutes. Use a slotted or mesh spoon to lift them out of the water and into a bowl. Add a little of the boiling water to the bowl to keep the wonton from sticking. For each serving, 8 -10 is a meal, 4 to 6 is entree/starter size. To serve in soup: heat up some soup stock and add to each bowl in which you have already placed the wonton and some blanched vegetables. Vegetables such as Napa cabbage cut into chunks or string beans are good. To serve on a platter (without soup): place sprigs of coriander on the platter and place the wonton on top. Sprinkle with snow peas that you have julienned (narrow strips) and blanched for about 30 seconds in boiling water. Then add a sprinkle of black sesame seeds, a few drops of chili oil and some Sichuan pepper corns (crushed and lightly dry roasted in a pan). 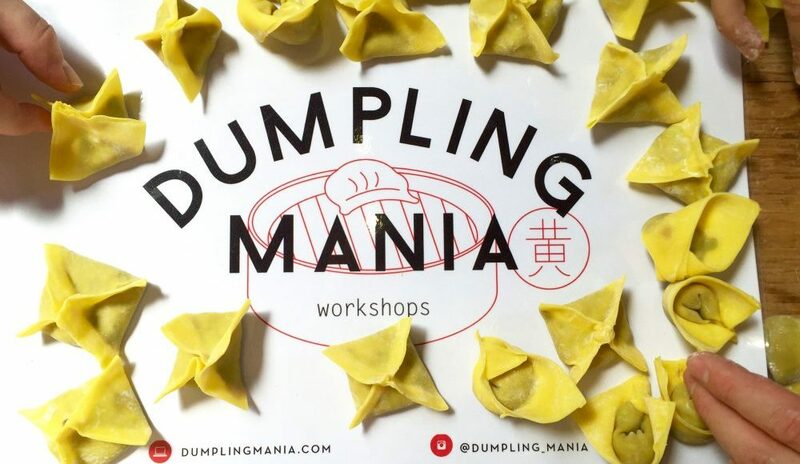 This entry was posted in Recipes and tagged dumplings, Recipe, wonton by dumpling_mania. Bookmark the permalink.